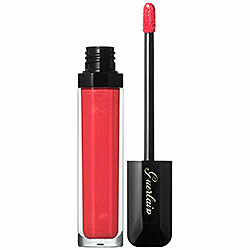 Guerlain Maxi Shine Lipgloss includes delectable colors like poppy, watermelon, and coral, that practically pop off the shelf with their vibrancy. I'm giving you the link of course but the one-dimensional colors on the website don't nearly do them justice, you'll have to go to Nordy's or Sephora to see for yourself. Anyway, the colors may seem intense but they apply quite sheer, so you can control the amount of color you want. The formula is hydrating, gently plumping, and not at all sticky or goopy. Nothing is worse in the Summer heat than a thick and gloppy lipgloss! Korres Greek Yoghurt Nourishing Lip Cooler is ingenious! The all natural liquid lip balm/lip color is applied with a wand that has a cooling metal roller ball at the tip. Not only does the roller ball smooth, soothe, and cool your lips, but it ensures only a hint of color is blended onto your mouth. And the colors are all soft and sheer anyway. With shea butter, cocoa butter, jojoba oil, and soybean oil it couldn't be more nourishing. It's a natural beauty! 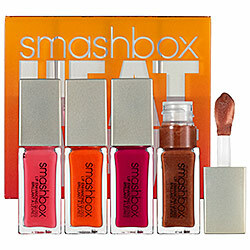 Smashbox Heatwave Lipgloss Set is all you need for Summer. Each one of the four colors is perfection itself and would be flattering on virtually any skin tone. They come in the season's trendiest hues - just pop the set into your purse and you will be prepared for any occasion. The cheery shades provide intense pigment and super shine, and are housed in adorable squat little rectangles. I purchased my set within seconds of laying eyes on it! 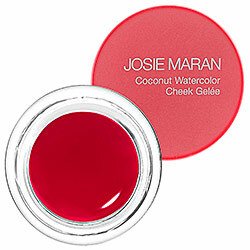 Josie Maran Coconut Water Cheek Gelee is getting tons of positive press lately and with good reason. As with Korres it is a natural brand, and includes ingredients like the very hydrating and healthy coconut water. But best of all is the super sheer consistency- a cross between a gel and a cream - that wears like a stain. There is a shade for every skin tone and I can't imagine anyone not being satisfied with this little wonder. If you haven't been out there to look at the summer color collections yet I really recommend that you do. The hot and heavenly hues will be sure to get you in the spirit of things. After all, the summer solstice is right around the corner. It seems like I spend the majority of the year longing for Summer. I am never truly satisfied unless the temp is well over 70 degrees. And it has been lately - thank goodness. Thus I have already been wearing my Summer fragrances for weeks and have been dying to blog about it. To me a Summer scent must be as light as chiffon, as breathable as cotton, and as lovely as silk. There certainly are some exciting Summer fragrances out there and I am especially taken with one of the newcomers. So let me tell you all about them! Fabulous by Isaac Mizrahi truly is fabulous! It is a vibrant and crisp floral that is also distinctly lemony. 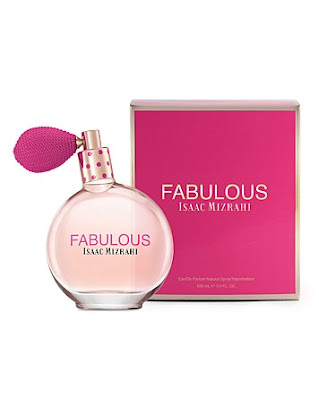 It comes in bright pink packaging that looks just how the fragrance smells. Or maybe the fragrance smells just like the packaging looks. Either way, it comes across feminine, playful, and just a bit coquettish. The top notes are citrus and nectarine, the heart notes are jasmine/freeesia/peony, and the base notes are sensual sandalwood, cedar, and vanilla. An irresistible blend! 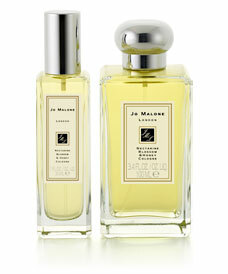 Jo Malone Nectarine Blossom & Honey smells like something one of the ancient Greek or Roman goddesses would wear. It is nectar. It is ambrosia. It is falling in love. I'd wear it on a picnic, or a first date, or some other flirty occasion. 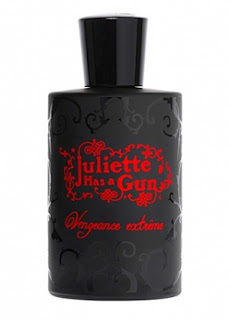 Yes there is the fruity scent of peach, but the cloyingness has been tamped out of it with black currant and vetiver. It is altogether the perfect Summer romance. Vince Camuto Fiori is new and a limited addition, so I would not pass up this opportunity to add it to your collection. 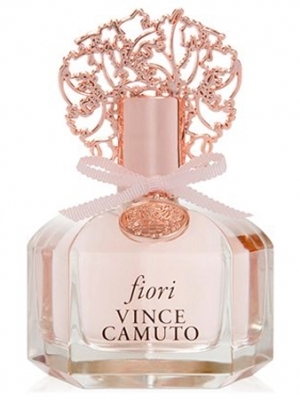 It is a soft and fluffy floral that is at the same time energetic and youthful. It is about as light as his original fragrance was heavy. Pink grapefruit and white nectarine comprise the top notes, while the heart notes are iris and freesia, and the base notes are creamy sandalwood and blue cedar. The concoction is alluring, delightful,and wholly satisfying for the Summer. 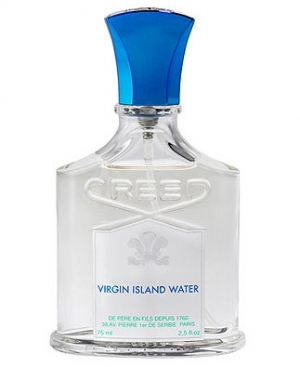 CREED Virgin Island Water is my favorite unisex fragrance and even though it is typically a Summer scent, I sometimes wear it in the depths of Winter just to dream of warmer days and perk myself up. It also happens to come from my favorite perfume house that has been in the Creed family for seven generations. It is class all the way! This scent particularly brings to mind yachting, sun bathing, and cocktails on the patio. There is a faint whiff of coconut, but mostly the notes are citrus tamed with base notes of hibiscus, ginger, ylang ylang, and white rum. It is tropical without being over the top, so next time you are at Neiman's stop and check it out.